As a keen beekeeper, Callum McCarthy, chairman of the Financial Services Authority (FSA), is no doubt used to the odd sting or two. But he will face a stinging of a more critical kind when he appears before the Treasury Select Committee on 9 October. Mr McCarthy, 63, the head of the UK's financial regulator, is being called before MPs to explain the FSA's handling of the Northern Rock crisis. He is expected to face some very tough questions. With the FSA responsible for assessing the finances of all the UK's commercial banks, the committee will want to know how the watchdog allowed Northern Rock to get in the position where it needed emergency funds from the Bank of England. Mr McCarthy has so far been resolute in his defence of the FSA handling of the situation. "To be absolutely clear, if we believed that Northern Rock was not solvent, we would not have allowed it to remain open for business," he says. However, Northern Rock still needed the emergency Bank loan. The key question Mr McCarthy is likely to have to answer is why the FSA authorised Northern Rock's particular way of raising its funds. Unlike most banks, which get the majority of their cash from customers making deposits, Northern Rock decided to borrow most of its funds more cheaply from the global wholesale credit market. This enabled Northern Rock to offer very competitive mortgage rates, turning itself into one of the UK's fastest-growing home loans providers. Yet it also made Northern Rock much more vulnerable to any downturn in the global credit markets. When this happened, following the knock-on effect of the crisis in the US sub-prime mortgage industry, Northern Rock found itself - and more specifically its day-to-day cash flows - in trouble. Its trusted availability of cheap global credit suddenly dried up. Mr McCarthy will inevitably be asked why he allowed Northern Rock to get itself overexposed. The core dilemma for Mr McCarthy and the FSA is the old adage - "they are damned if they do, and damned if they don't." 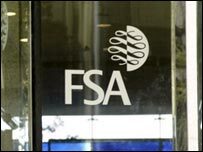 Since the FSA was formed in 2001, it has faced two opposite criticisms - some accuse it of regulating too much, while others insist it does too little. Former Prime Minister Tony Blair was in the former camp in 2005, when in a speech he said the FSA was "seen as hugely inhibiting of efficient business". Yet at the same time, others, such as consumer rights organisation Which?, have maintained that the FSA does not do enough and is failing consumers as a result. In 2002, Which? accused the FSA of being "asleep on the job" over endowment mortgages mis-selling. Generally, though, commentators have praised Mr McCarthy's stewardship of the FSA, saying its policy of light-touch regulation has allowed the City of London to grow and prosper. Based on the FSA's policy of "principles-based" regulation instead of strict rules, this has allowed the City to cement its position as the world's leading financial centre outside of Wall Street. Yet could stricter rules have better reined in Northern Rock? Cardiff Business School economist Brian Morgan says the FSA was right to allow Northern Rock to be innovative in how it raised its funds. "As long as Northern Rock convinced the FSA that they were meeting existing standards, there wasn't a great deal that the watchdog should have done before the bank's difficulties came to light," he says. "And this is right - it is not the FSA's job to stand in the way of innovation in the City of London." In fact, promoting innovation is one of the FSA's regulatory principles. A further argument of defence for the FSA is the UK's three-way financial regulatory system, split between the Treasury, the Bank of England and the Treasury. While the FSA supervises individual banks, and the Bank of England stands as their lender of last resort, it is the Treasury through Parliament that sets the laws. And Northern Rock's novel, if risky, approach to raising funds, was perfectly legal. Yet did Mr McCarthy and the FSA, which has a statutory objective to maintain market confidence and protect consumers, do enough once they knew of Northern Rock's difficulties? Mr Morgan says Mr McCarthy will have a lot of persuading to do when he goes before MPs. "When the writing was on the wall, this is where the FSA was slightly lacking," he says. Mr McCarthy has been chairman of the FSA since September 2003. A product of Manchester Grammar School, he studied economics at Oxford and Stirling Universities. Business school at Stanford and California came later. A seven-year stint as an economics researcher at ICI was followed by an advisory role at the Department for Trade and Industry, then jobs with banks Kleinwort Benson and Barclays. 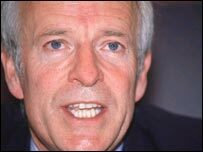 Described as a softly-spoken tough operator, he was the head of energy watchdog Ofgem before taking the helm at the FSA. Mr McCarthy will be joined in front of the Treasury Select Committee by the FSA's chief executive, Hector Sants. An investment banker by trade, Mr Sants was promoted to chief executive in July of this year. He has been with the FSA since May 2004.